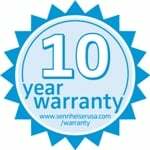 Shop Sennheiser e835 Dynamic Vocal Microphone from AMS with 0% Interest Payment Plans and Free Shipping. 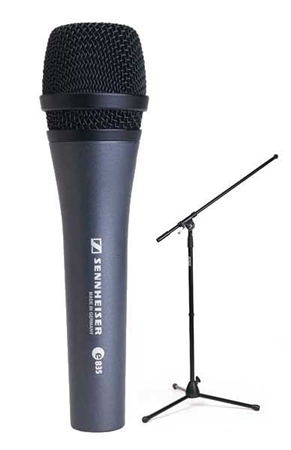 The Sennheiser e835 Dynamic Vocal Microphone; A top selling mic for lead vocals. The e835 is a quality vocal mic with performance and build characteristics never before available at this price. The e835 from Sennheiser utilizes a cardioid pick-up pattern providing good signal isolation and feedback rejection, enabling higher sound levels to be obtained. Metal construction and internal shock-mount system minimizes handling noise. 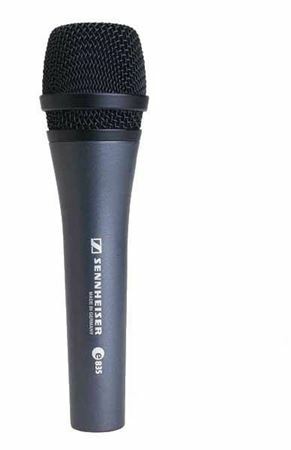 Designed as a lead vocal stage mic, the Sennheiser e853 performs under pressure. One e835 with a tripod boom stand. 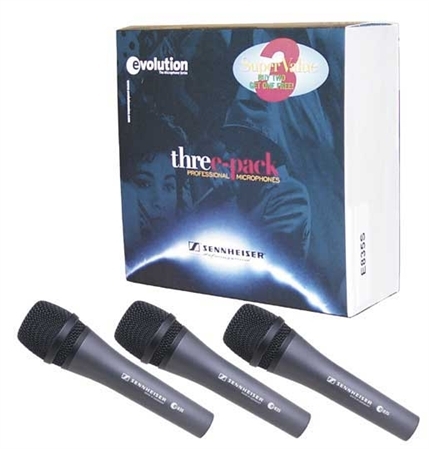 A 3 microphone package that offers three e835s with great savings. Uniform frequency pick-up pattern maintains signal quality when moving on and off axis during performance. Gentle presence boost to even tonal response on the e835 ensures clarity and projection. Minimal proximity effect provides consistently clear bass end performance when singing closer to or further from microphone capsule. Great mic for vocals, guitar amps, and drums. very dynamic and does a good job cutting feedback. Have used Sure sm 57 and 58's for years... This is my new go to vocal mic... I bought the package which included a stand...the stand was much higher quality than I ever expected! Great package deal! Thanks AMS!! This microphone provides a pure clear signal even at high levels. I have a very small music studio and until this mic I was not able to turn up the input levels on the PA without feedback. This Mic shields itself very well against unwanted feedback especially in a small setting. These Microphone are exellent, a clear sound!!! This mic is comparable to the SM 58. Price range they are very comparable also. Buying a three pack makes it much cheaper. Best Microphone I ever used! Would not trade it for anything else very satisfactory! When vocal quality matters, the e835 is impossible to beat!! The price point on this mic should be $200 more than what it is because that's what it sounds like you spent!! Glad I made the purchase, two shows with this mic so far and I am satisfied.